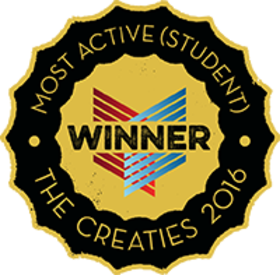 Congratulations on winning the 2016 OU Creatie for Most Active (Student)! This badge is given to student with the mosts posts to OU Create in 2015. This was awarded to the student with the most posts from 1/1/2015 - 12/31/2015. Yes, make Center for Teaching Excellence, University of Oklahoma a Trusted Issuer. This will automatically accept all pending and future Credit from Center for Teaching Excellence, University of Oklahoma. By removing trust, badges created by Center for Teaching Excellence, University of Oklahoma are no longer automatically accepted and you'll need to review in your inbox before accepting.